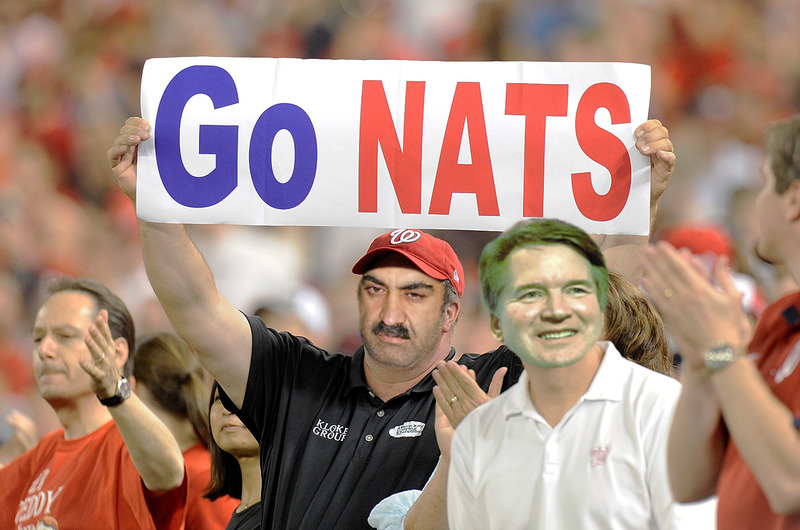 Supreme Court nominee Brett Kavanuagh is in hot water for, among other things, claiming to be a "fan" of the Washington Nationals baseball team. 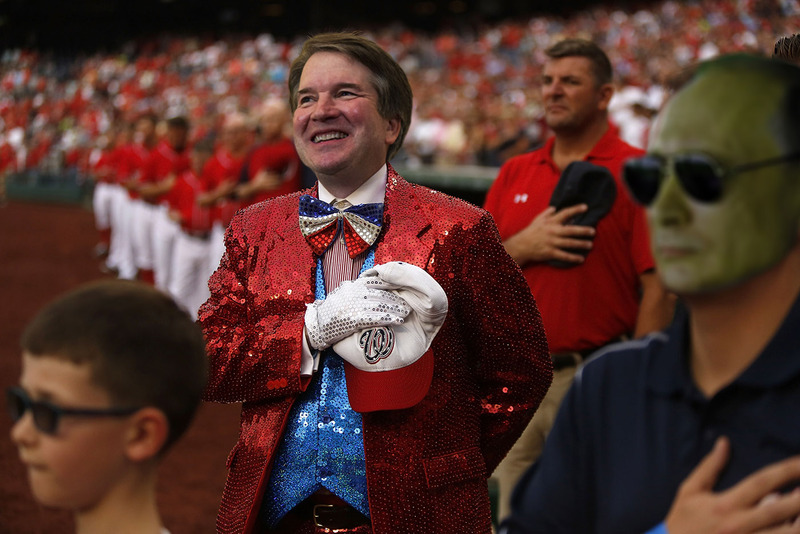 Media outlets have been asking their readers to send in photos of Kavanaugh "attending" Nationals games to bolster their journalistic investigations. Naturally, the Washington Free Beacon has been conducting its own investigation, and recently contacted our readers for assistance. They responded beautifully, producing a tremendous body of evidence that raises troubling questions about Kavanaugh's fitness to serve on the highest court in the land. 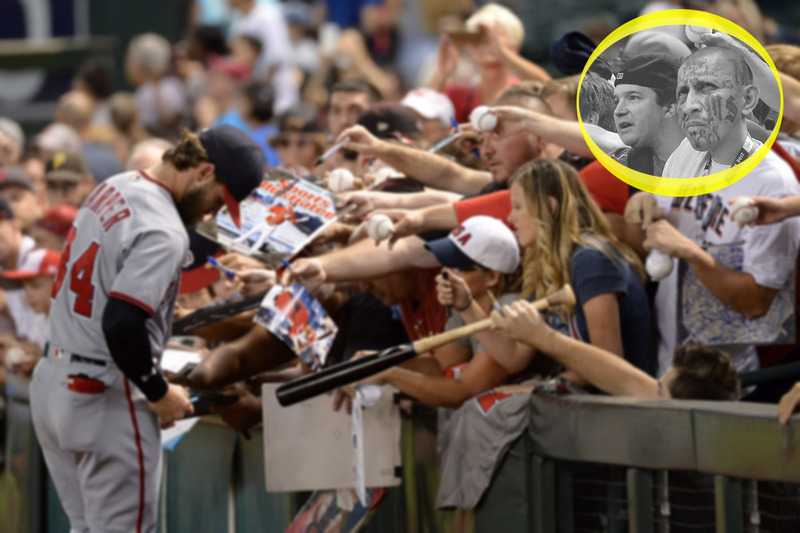 If the following crowdsourced photos are any indication, Nationals-Gate could turn out to be a far more monstrous scandal than we ever imagined. 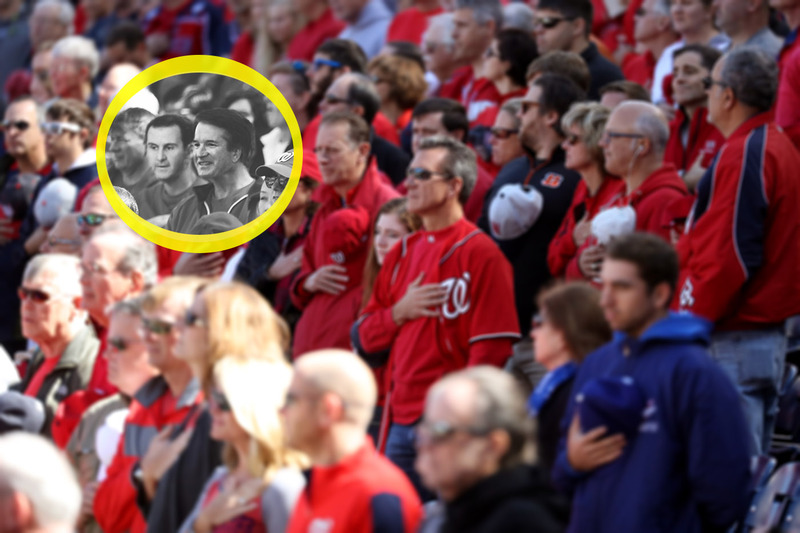 Here we see Kavanaugh enjoying the Star-Spangled Banner at Nationals Park with a man who appears to be Syrian President Bashar al-Assad, a disgraced war criminal backed by Russia. Interesting… Wonder what they discussed during the game? 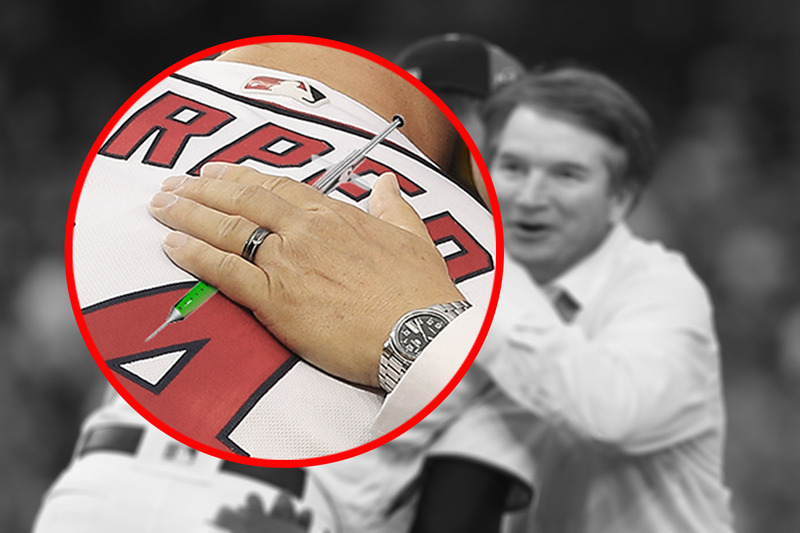 This reader submission clearly shows Kavanaugh scrounging for autographs next to a member of the infamous street gang MS-13. 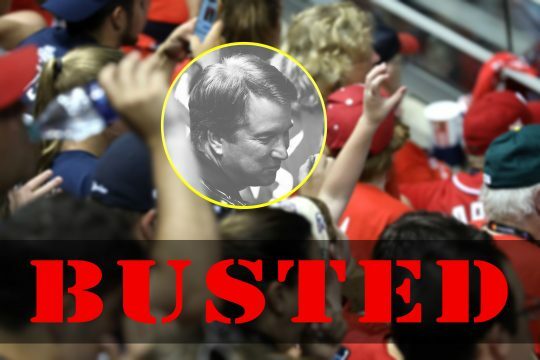 It's not clear whether the two men were attending the game together, but as you'll soon see, Kavanaugh has a pattern of disturbing associations at the ball park. Here we see Kavanaugh in a fancy dress, belting out the National Anthem in close proximity to a man who resembles Russian strongman Vladimir Putin. (The third man in the background certainly seems to regard the situation with great suspicion.) Perhaps special counsel Robert Mueller would be interested to learn more about this baseline bromance? 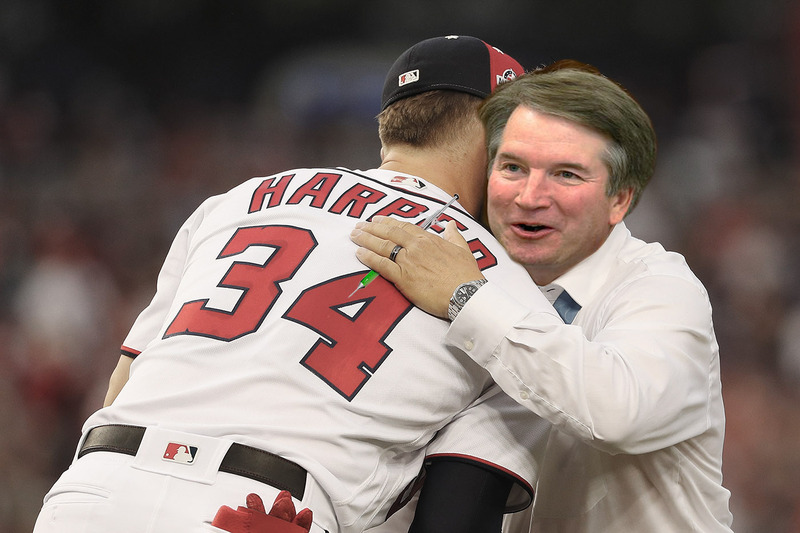 Here we see Kavanaugh embracing Nationals' All-Star outfielder Bryce Harper, who has never been convicted of a war crime. But take a closer look at the judge's left hand, and you'll begin to wonder just how deep this scandal goes. Thanks to all our readers for your submissions. Keep them coming! This entry was posted in Politics and tagged Brett Kavanaugh, Parody, ProPublica, Satire, Supreme Court. Bookmark the permalink.